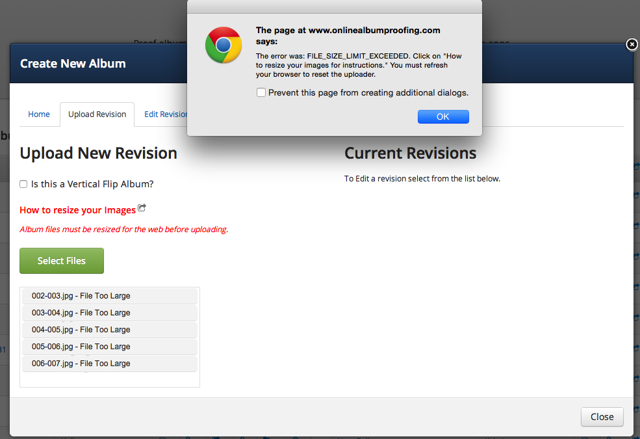 I exported for Album Proofer, but am getting the message that my images are too large. What is wrong? If you are getting an error message that your file is too large despite exporting for Proofer, you are most likely uploading the wrong file. For this reason, we recommend that you save your files exported for Proofer in a different folder than your print files. 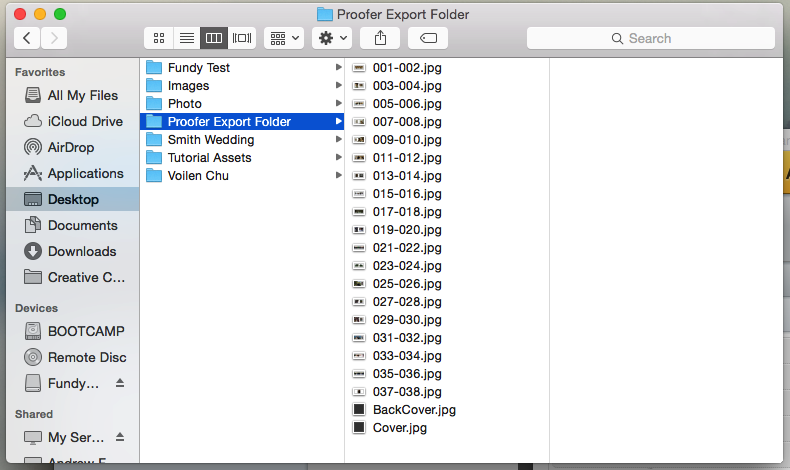 If you separate your web and Proofer files from your export for print files, you will be able to easily identify the correct files to upload to Album Proofer.